When you live somewhere as luxurious and vivacious as Dubai, it comes as no surprise to see a promotional event on random days of the week. 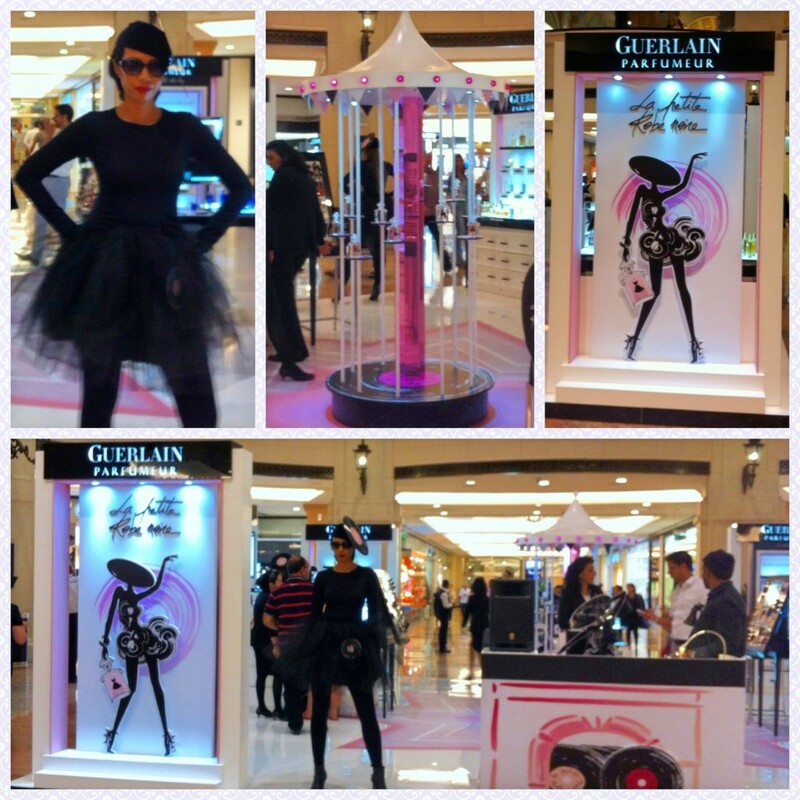 Last Wednesday, I was walking around Mall of the Emirates, when I came across a beautiful podium for Guerlain’s La Petite Robe Noire. What first caught my eye was the mannequin-like models dressed in- yep, you guessed it- little black dresses; from afar I couldn’t tell if they were figurines or actual models. On display were Guerlain’s many products from fragrances to makeup, with makeup artists available to help sample the products and give makeovers to customers. Propped on a Carousel at the center of the podium was none other than the pretty little bottles of La Petite Robe Noire. This Parisian gem was originally released in 2009 and re-launched in 2012, with a modified bespoke drawing of the dress. I use a variety of different perfumes, ranging from floral to musky and the occasional candy-sweet scent. I adore Guerlain products in general and although this particular scent is not my style, it has a musky sweetness and lasted on my skin for a long time when I sampled it. Have you tried this fragrance and what did you think of it?